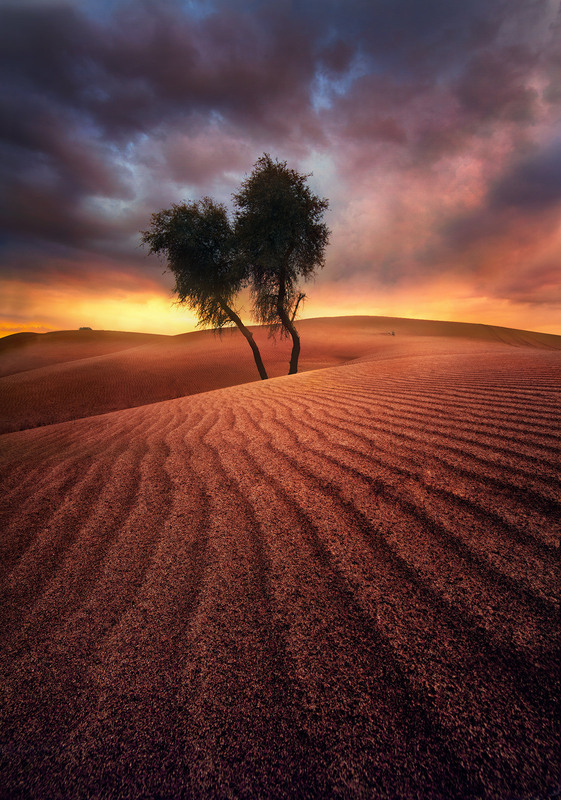 Two lone trees on the endless sands, waiting for the light. United Arab Emirates. Photo © copyright by Marc Adamus.